That’s not saying that I would change 2016 for anything though. Falling pregnant in June may have scuppered some of the travel plans we had for the last six months of the year but I wouldn’t change anything about it for all the travel in the world and we still had some amazing adventures. If you know me at all you will know that all-inclusive package holidays just aren’t my thing. While the idea of my pasty skin turning a lovely summery bronze is very much welcome, the thought of lying still on a beach for days, eating the same repetitive buffet food all week and not seeing more than the walls of the resort for the entire trip, makes me shudder. But when Mr Ayla pretty much begged me for a relaxing summer holiday this year without all the constant sightseeing, the tiresome walking for hours and the endless research and explorations, I kind of felt like I should indulge him for a change. Trust me when I say this doesn’t happen often. Of course I still put in hours of research – because I’m not just going to go to any old place – and despite my initial horror at a break that involved nothing more than slapping on some sun cream every day, I eventually came across the Sensimar Marmaris Imperial Hotel. This picture perfect hillside resort along the Turkish coast jumped straight out at me as somewhere that looked like it would suit us both. There were sun beds galore and food and drink on tap for the Mr, while still looking beautifully traditional for me with the most beautiful views (obviously I have to consider my Instagram pics when I book any trip) and a nearby town for exploring for when my feet got fidgety as they no doubt would. Airport parking is never something that is high on my radar when booking a trip. I’m much more interested in researching our new destination, scoping out sights off the beaten track and the best viewpoints in the city, or finding a cosy airport hotel to stay in before an early morning flight. So usually we simply opt for one of the cheaper parking options. Yes, the car parks always seem to be down the most difficult to find country lanes and there is the annoyance of a 15/20 minute bus ride to the airport, but I would rather save that extra bit of money for eating as much of the local food as I can once we’ve left London (and our car) behind. 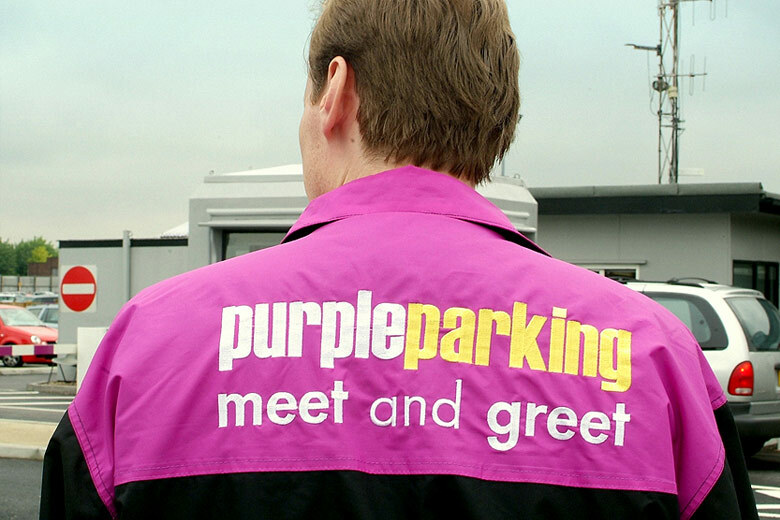 But on our recent trip to Turkey, we tried out the meet and greet service at Gatwick airport courtesy of Purple Parking and I think it may have just swayed me into paying that little bit extra in the future. There was no bickering as we tried to figure out where the car park was, no checking the car in, no waiting around for the next shuttle bus and no extra journey to the airport. 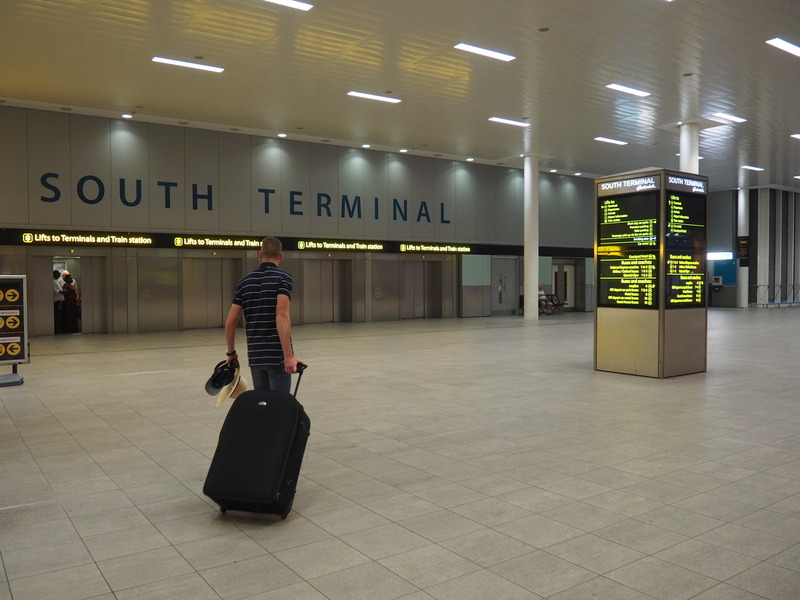 We simply drove straight to the drop off point right outside Gatwick’s south terminal and, with a quick phone call to Purple Parking to let them know we were there, a few minutes later a friendly chauffeur came to meet us, checked our details and then whisked our car away. I was left thinking that surely there was something else we needed to do. But nope – it really was as easy as that and we wandered the few steps into the airport without any stress or worry and, least of all, not a single bit of rushing about. After a sunny and relaxing break in Turkey, returning to the airport would have been nice and easy if it hadn’t been for someone (not mentioning any names – but it wasn’t me) leaving our tablet in security on the way out. 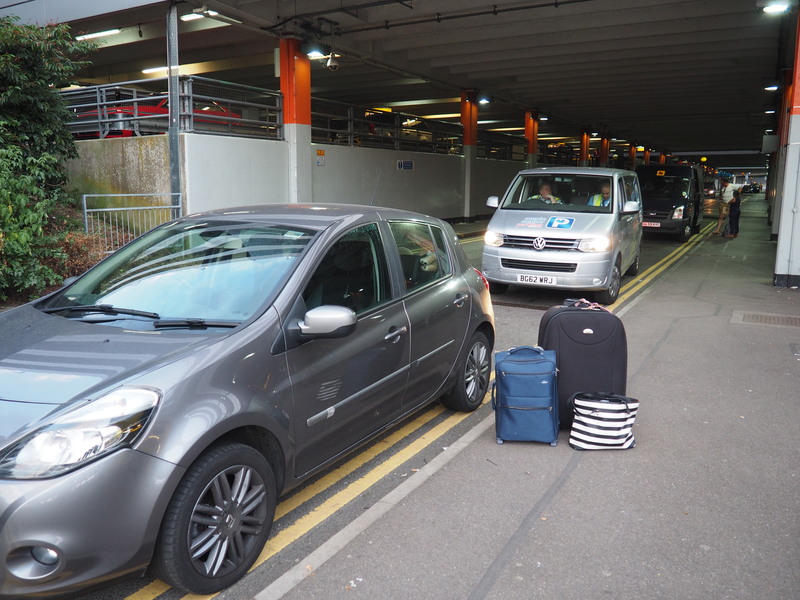 This meant that when we arrived back at Gatwick airport just after midnight, we had the hassle of changing terminals and making our way to lost property (and paying a ridiculous £20 lost property admin fee in the process). With a quick phone call, Purple Parking were extremely helpful in meeting us with the car at whichever terminal was easiest for us and, just a few minutes later, we could see the Purple Parking chauffeur in his snazzy purple jacket along with our car already sitting and waiting for us as soon as we stepped out of the airport doors. At this time of the morning when I had to be up for work in six hours, we were so grateful that there was no waiting around for a shuttle bus and hauling our bags about, no bus ride full of crying children and tired adults, and no having to wait in line to collect the keys to our car. This was by far the easiest and most convenient airport parking we have ever had and, as the Purple Parking representative handed our keys over to us, it couldn’t have been any more welcome. Big thanks to Purple Parking for taking care of our car while we were off relaxing on holiday! Less than two hours away from London, Copenhagen is a city that I had never really considered visiting before. But on one of my general browsing sessions on Skyscanner (don’t lie, I know you do it too), I found some ridiculously cheap return flights over our anniversary weekend so it only made sense to book them up right? At this point I hadn’t quite taken into consideration that the flights would be the only remotely inexpensive thing about this trip. Clearly I didn’t have my traveller head fixed on properly as I failed to realise that Denmark is in fact one of the most expensive countries in the world. But, as it was only a short break, we decided to say to hell with the cost and just enjoyed ourselves discovering this new destination (although I can’t say that our bank account enjoyed itself quite so much though!). Apart from my naturally pasty skin and my unwavering love for tea and scones, I don’t really consider myself to be very British. That may sound a little silly seeing as I was born and have lived in the UK my entire life and my family tree is English for as far back as I know, but England is not somewhere that I have ever truly felt to be my home. I’m not sure why. Maybe it’s because my body craves constant sunshine instead of constant drizzle. Maybe I dream of a more chilled out life with less rushing and stressing. Or maybe it’s simply because I love exploring the world so much that nowhere will ever truly feel like home to me; I always want to be on the move and am always looking for a new adventure. When your favourite cuisine in the whole world is Italian and a new restaurant opens up in London dedicated to everything that is lasagna, it only makes sense to try it out as soon as possible. With 21 different types of lasagna on the menu (yes, you read that right – 21 different types of lasagna! ), Mister Lasagna opened up in Soho just over a month ago and has already become so popular that they’re opening up a second restaurant soon. A very casual but cosy restaurant, Mister Lasagna is the place to go for a quick, easy meal and, considering it’s in such a popular part of Central London, the prices are extremely affordable, but that doesn’t mean that they scrimp on the taste. With a counter to select your dishes from at the front of the restaurant (cue lots of temptation as you drool at the food in front of you) and several quiet tables at the back, it’s a cosy little place for a tasty lunch or for a relaxed meal after work. A breezy one hour flight and we were in Amsterdam, somewhere that had seemed to evade our travel radar so far. With such cheap and easy flights from the UK, it was the perfect destination for a short weekend break over the May bank holiday and I always welcome the chance for us to explore a new part of Europe. There isn’t actually a huge amount of sightseeing to do in Amsterdam which made for a wonderfully chilled weekend break. We spent most of it simply wandering around, taking in the enchanting canals bursting with colourful flowers, and satisfying our bellies with as much food as possible. We decided to stay on our feet to explore rather than hop on a bike as the city is so full of cyclists – there are more bikes than there are people in Amsterdam (true story) – and the speed they flew past over the narrow cobblestone roads had me fearing for my life when I was on the pavement let alone actually being on one of the bikes myself! Instead, we picked up our I amsterdam card which includes tram, bus and metro rides, as well as a host of free and discounted sights and tours, and worked our way around the city with a combination of public transport and the simple wearing out of our feet. If you’re planning a weekend in Amsterdam and want to know exactly what you should see and do then look no further as I’ve highlighted all the best bits here including the tastiest foods and the quirkiest activities! The desire to get on a plane and step foot in a different country is currently taking over my every thought. I haven’t been away since our trip to France back in December and although I love a staycation, our weekend break in Brighton just does not count. I know I may sound greedy but I’m sure most of you travellers out there will agree with me – travel is like a drug and right now I am having some massive withdrawal symptoms. So the thought of our impending American adventure next week is like the light at the end of a very long very dark tunnel. But I’m not one to sit around at home just waiting for something exciting to happen, so in the meantime I’ve kept myself busy by becoming a tourist in my own city and exploring more of London. I often take for granted the fact that I live in such a fantastic city but it’s little adventures like these that make me remember how great London really is. So I’ve put together a little itinerary of some of our latest explorations over the past few weeks that would make for a fun weekend in London. Apart from family trips when I was little, as well as the odd night out in my slightly wilder days of partying and actually being able to cope with a hangover, Brighton is somewhere that I haven’t really seen in years. So when my mum gave us a Segway experience voucher for Christmas, we decided to spend Valentine’s weekend trying out this new adventure near Brighton and then spending the rest of the weekend exploring the city. My sister loves Alice in Wonderland and I love cake, so it seemed only fitting that I take her to an Alice inspired afternoon tea for her birthday. I’ve decided that this is the best possible gift to give someone. Not only do they get the enjoyment of the afternoon tea but so do I, which is totally a win-win situation. Themed afternoon teas are my favourite – there’s always something different to both fill you up and to entertain you and the Mad Hatter’s Afternoon Tea didn’t disappoint. Set in the Sanderson Hotel just off Oxford Street, from the outside it looks like a simple office building and nothing fancy at all. Inside though, the reception and bar area is decked out with a random collection of various shaped chairs which we obviously both got comfy on straight away. I guess it made sense that such a unique hotel would hold something as quirky as a Mad Hatter’s tea party!